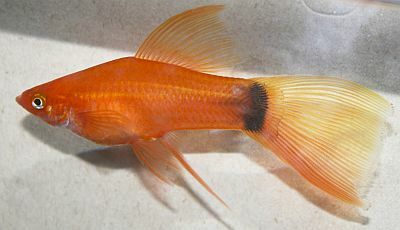 Joanne Norton and Glenn y. Takeshita claimed that Veiltail Swordtail resulting from the mating of lyra-Schwertträgern. I am probably one of the first of that aware with the help of King Lyra has reached without artificial insemination . Not the first time that I had such animals. An older litter with significant number of these animals, of which I had 2008 issued a pair at the Xiphophorus Europe Master as experimental breeding under the name "Fächerflosser" in Bretnig, the connections were not yet aware me! But how came about at the time? 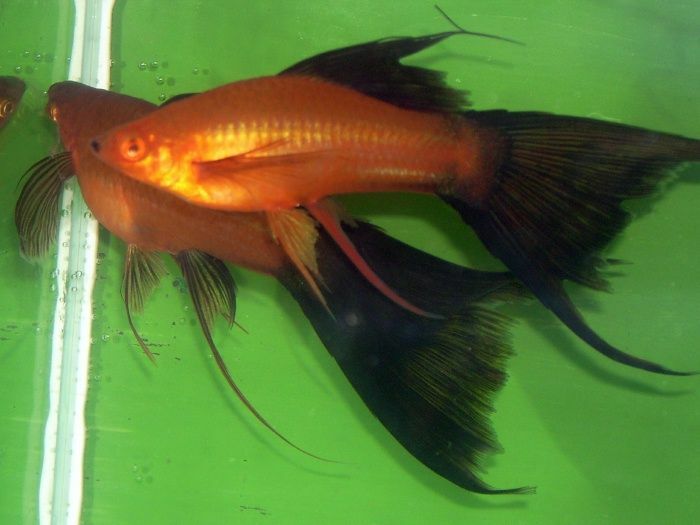 In the sibling animals were the first normalgonopodialen lyre swordtail made by me, which I later called Kings-Lyre. That dam must be have been fertilized by them. This pair had far exceeded already the "exhibition"age. They were in excellent condition until her death. Veiltail like also Lyraflosser are not for people who may not recognise that fish with long fins need very clean water. 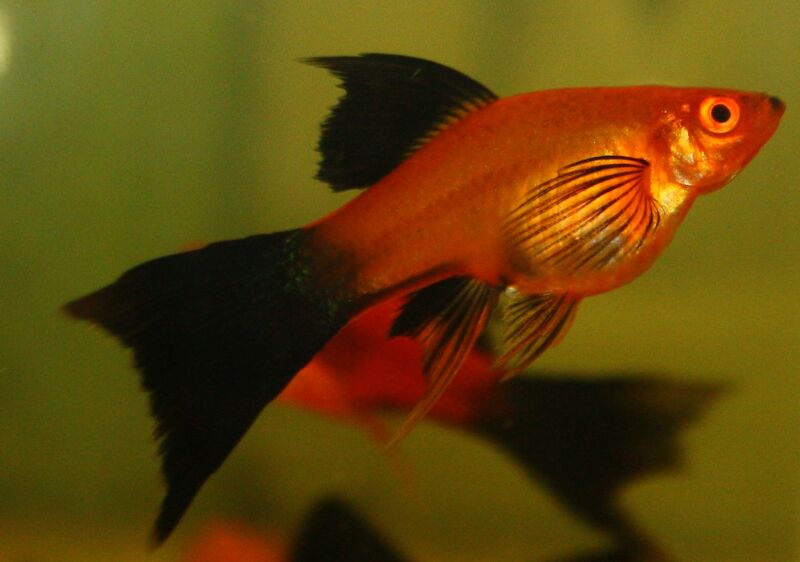 Occur: the tale of "lifelong growing fins" on the Lyra swordtail. It has been described that damaged fins can take the form of fan Flossern by its "ability to repair". Among other things, also a strain has been identified, which could produce such. On my pictures you can see considerably modified type of all fins. Please note the formation of dorsal in connection with the development of caudale. Unfortunately, I have not basin in sufficient number to pacify my impatience after new crosses at the same time. I am however convinced that also other breeders have experienced this. Especially those who have previously worked with artificial insemination can say something. 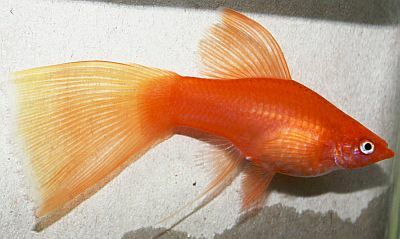 Glenn y. Takeshita has reported in an article in the TFH under the "Lyretail swordtail genetics" in 2008. Unfortunately the described attempts are, not pursued with desired consistency what he himself criticized. I cannot confirm its hope expressed at the end, that there will be Lyra sword carrier with normal Gonopodium and that therefore the achievement of results would be easier, also with the appearance of King-Lyre. The fertilization is easier but also inhomogener the results. Here you can say but little final due to the small number of pulled-out rolls. I wish that professional multipliers show something more interest in the King-Lyre, as only to increase the number of Lyra sword carrier per litter. This will remain but desire.